Do Mattress Encasements Work Against Bedbugs? While we all want to sleep well, sometimes this proves more easily said than done. Aside from busy schedules, there’s one catalyst that nobody wants to experience. Bed bugs are small, oval-shaped parasites that feed off of mammals. Since they are known to take up residence in furniture and are nocturnal, this means they can seriously disrupt your sleep. As bad as this is, there is even worse news. It can be highly difficult to eradicate an infestation, even when you hire professional services. That’s what makes preventive measures so important, and there’s one you should seriously take into consideration. Mattress encasements are just what they sound like. They are specially-designed fabrics that wrap around the entire mattress and can be secured shut to prevent anything, even something as small as a bedbug, from getting inside. Unlike a fitted sheet which only covers the top and sides of your mattress and are made of fibers that can be penetrated, mattress encasements completely seal off your mattress and prevent anything from getting in. All around us, we see clever marketing schemes aimed at getting us to allocate our hard-earned money on a plethora of products and services. However, many of these products fail to stand up to the claims they make, and this can cause consumers to be weary of products that make outstanding proclamations. When it sounds too good to be true, it usually is. 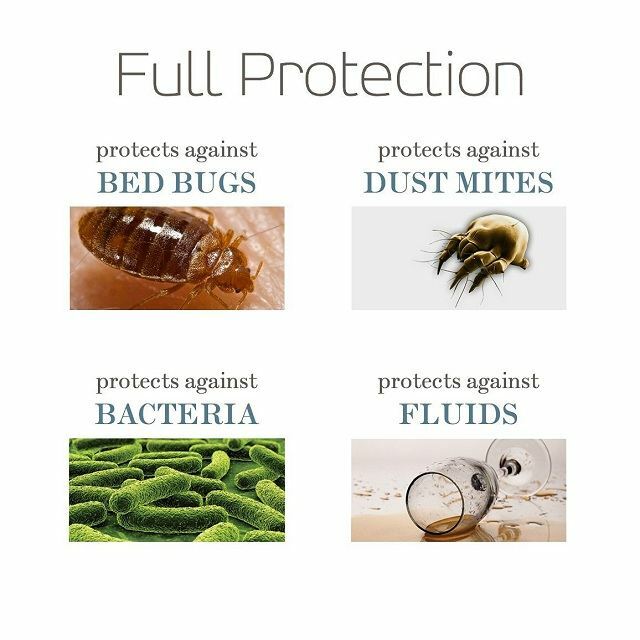 However, scientific testing has been performed on many mattress encasements, and it has been concluded that they can provide the impenetrable barrier you need to keep bed bugs at bay. It can be difficult for the human eye to detect a problem, but, using highly technical equipment, it has been proven that these products can help you prevent a breakout of this dreaded problem. No matter what type of product you’re considering buying, there’s likely to be competition in the market, and this can leave you scratching your head wondering what product will prove to be the best. We often associate a low price with a compromise in quality, but does that mean we have to buy the most expensive product available? Reviews can help you better understand just how well a particular product will help you fight against these pesky critters and keep your whole family sleeping comfortably. Bed bugs are more common than you may realize. It’s currently estimated that around ten percent of Americans will struggle with bed bug problems at some point. Once an issue begins, it can be incredibly difficult to overcome. That’s why it’s so important to understand some of the ways in which you can prevent an issue from forming in the first place. Considering the fact that a single round of professional bed bug control treatment can cost as much as $1,500, the minimal investment in mattress encasements can very easily prove to be money well spent.